"Her new album My Wild West is primed to be a ray of light amidst the doldrums of winter." "Don't be deceived by US folk singer Lissie's gentle demeanor; she's got the sort of agreeably huge voice that catches you off guard and stops you in your tracks." 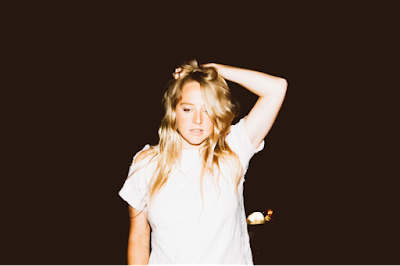 Lissie has teamed up with Lenny Letter to exclusively premiere her new video for "Hollywood." "Hollywood" comes from Lissie's latest studio album, My Wild West, which dropped earlier this year via Lionboy Records and Thirty Tigers in the US and Cooking Vinyl in the UK. Her most personal album to date, My Wild West is a fitting tribute to Lissie's life in California, from her arrival as a fresh-faced singer-songwriter to now, leaving for the Midwest wiser and more self-assured. My Wild West represents both a new beginning and a return to Lissie's Midwestern roots. The album hit #1 on the Billboard Heatseekers chart and Top 10 on the Independent Album chart. One of Lissie's most powerful tracks on the album, "Daughters" is a pro-feminist call-to-arms that took its cue from Liberian peace activist and Nobel Peace Prize winner Leymah Gbowee, subject of the documentary "Pray the Devil Back to Hell." In March, Lissie partnered with charity:water in support of International Women's Day to raise awareness surrounding the non-profit's mission to bring clean and safe drinking water to people in developing nations. She released a pay what you want download of her song 'Daughters' which raised over $4,500 for clean water projects in developing countries and performed the song on CNN International to spread word of the cause. Lissie also recently released her new live acoustic album "Live at Union Chapel! The album" features 13 solo acoustic songs recorded at Lissie's Union Chapel show in London last year, including a special cover of Joni Mitchell's "River." Fans can now stream the album in full on Billboard, here: goo.gl/eo9ai0. Lissie's two previous albums, 2010's Catching a Tiger and 2013's Back to Forever, both scored in the Top 20 of the U.K. charts and Top 5 in Norway, the former going gold in both countries. Stateside, the two releases hit the Top 5 in Billboard's Heatseekers chart, peaked at #5 and #11, respectively, on the U.S. Folk tally and went Top 40 on the Indie chart. Her songs have been licensed for countless films and TV shows, and topped numerous Best Of polls. 'The Longest Road,' a song she wrote with DJ Morgan Page was subsequently remixed by Deadmau5 and nominated for a 'Best Remixed Record' Grammy. With a career that has seen her open for renowned artist Lenny Kravitz (an early supporter), Tom Petty and even been asked to perform at Ashton Kutcher and Demi Moore's wedding, Lissie has had a wealth of incredible experiences that have made her the confident and determined artist she is today. Lissie teamed up with Bandsintown to premiere her new live video for "Don't You Give Up On Me." For more information, please visit: lissie.com/.